Maple pinning block holds up to 5 lock cylinders for re-keying locks. SKU: LBP001. Categories: Locksmith's Tools, Pinning Kits. Brands: LAB. Maple hardwood pinning tray. Holds up to 5 lock plugs at one time. Has pockets for 7 pin stacks and up to 5 pins (top, bottom, master) per stack. 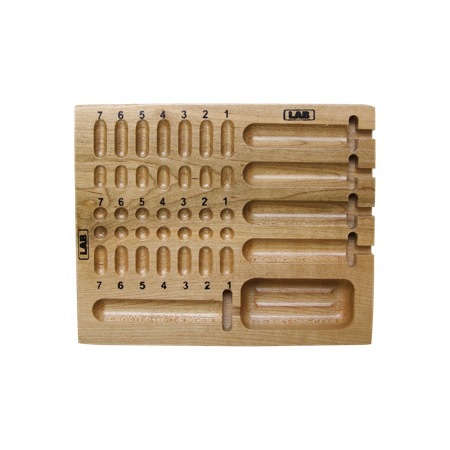 Additional pocket for holding assorted pins, springs, or cylinder parts.